A Rare Peek Inside Amazon’s Massive Wish-Fulfilling Machine #makerbusiness « Adafruit Industries – Makers, hackers, artists, designers and engineers! 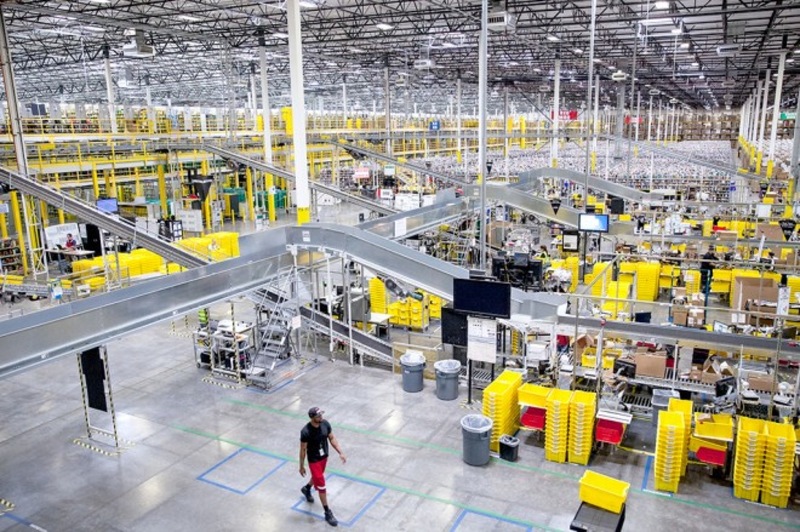 A Rare Peek Inside Amazon’s Massive Wish-Fulfilling Machine @ WIRED. …on-the-ground superiority means Amazon is defining the 21st-century consumer experience. That power will keep other sellers flocking to cast their goods into Amazon’s flow, like sticks tossed into a rushing river. And everything about Amazon seems angled toward breaking through the logistical barriers holding that river back. Amazon’s warehouses are designed to be wish-fulfillment machines, calibrated to feed our consumer wants with aggressive speed and precision at a scale that has yet to find its limit. We keep supplying more wishes to Amazon, and Amazon keeps turning them into more stuff.